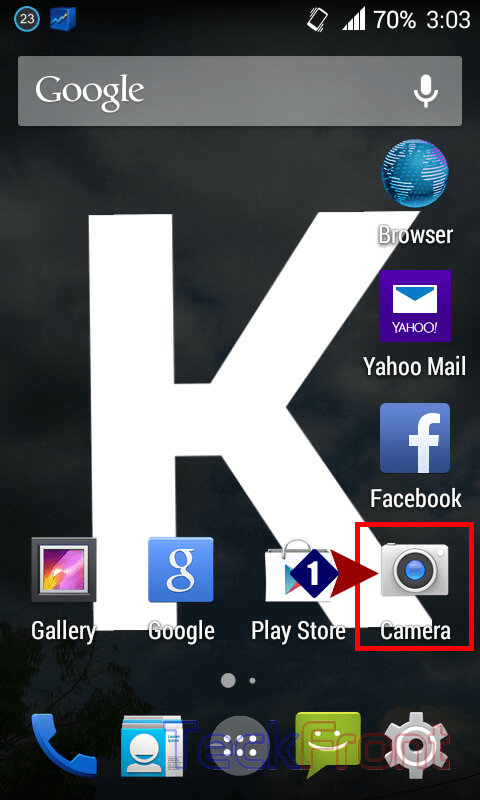 How to Set Most Suitable Picture Size for Your Camera in Your KitKat Phone? Picture size plays an important role in the quality of the photo and memory usage of your phone. 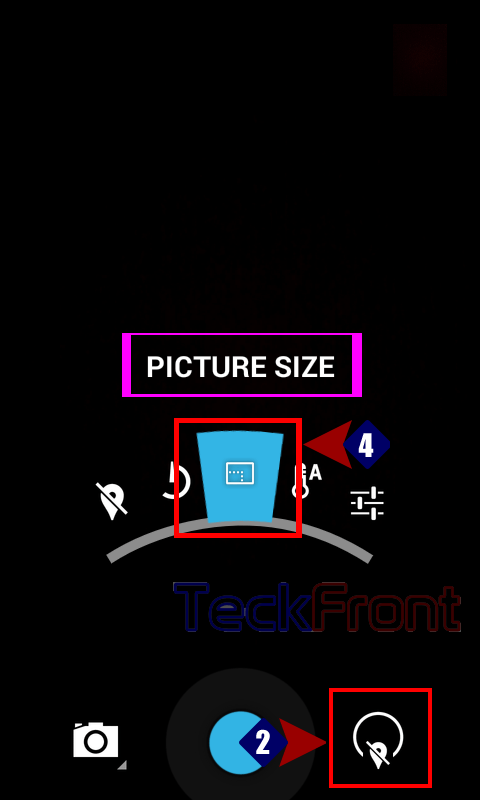 For the photos with your Android KitKat phone, for which you want a better projection, you may select higher picture size. Higher the pixels size, will resemble the more original image. Otherwise for the normal or lower quality of the photo, you may choose lower picture size. 1: Open the Camera app by tapping the icon of Camera app. 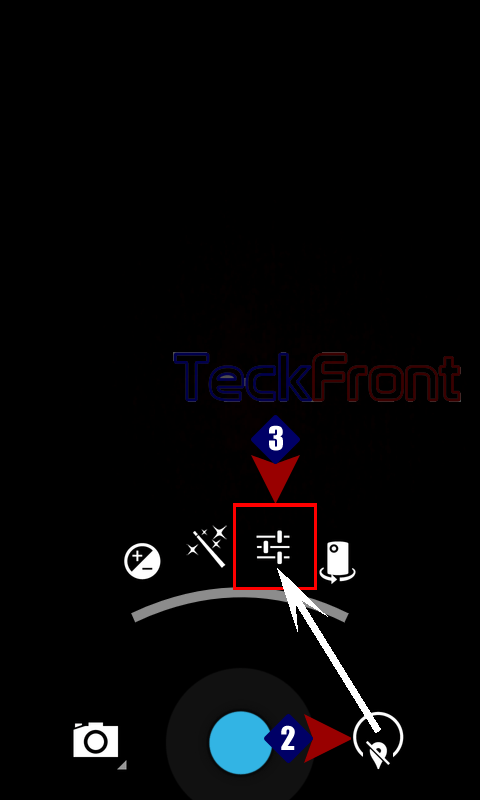 2: Tap the Camera settings button. It will open up a semi-circle popup menu. 3: In this semi-circle popup menu, tap the ‘Settings’ to open up another popup menu, a little higher than the previous one. 4: In this new semi-circle popup, tap the ‘Picture size’ and a new popup menu will open up. 5: From this popup menu, you may choose the desired photo size. Maximum picture size is 5 pixels while the lowest available size is 1.5 pixels. 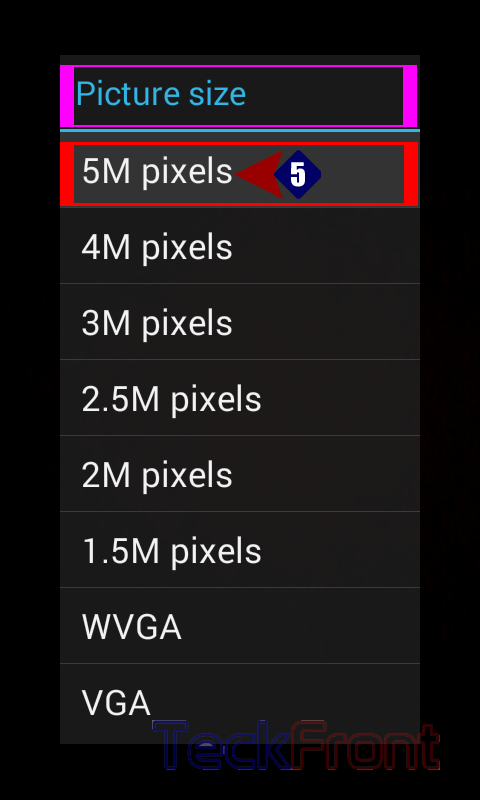 The 5 pixels is set by default. Alternatively, you may choose the WVGA or VGA as per your choice. That’s all! Newer How to Set Vibrate, Silent, Ringing or Both the ‘Vibrate & Ringtone’ Simultaneously? Older How to Change Signal Status Style to Text in Android KitKat 4.4 Phone?